At this hour, the weekend Masses begin in a Philadelphia church more rocked and roiled than it's been in nearly two centuries in the wake of last month's second grand jury report, Tuesday's mass suspension of 21 priests and an all-around eruption of abuse and cover-up charges that, in the judgment of many, are either the reincarnation of Boston, 2002... or, to some in church circles, something even worse. Good morning (afternoon or evening). Cardinal Rigali has asked me to speak to you this weekend as a follow up to the announcement made on Ash Wednesday. At that time, you were informed that His Eminence placed 21 archdiocesan priests on administrative leave on Monday, March 7th as part of his continuing response to the 2011 Grand Jury Report. This has been a difficult week for us all. Victims of sexual abuse have had to relive painful memories. Faithful Catholics are understandably angry. 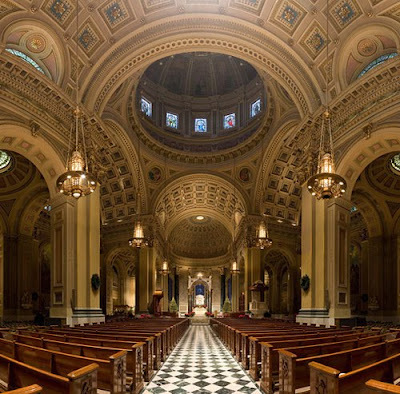 Many individuals have expressed a heartbreaking shame in the church they love and others are dealing with the confusion of learning that priests whom they admire face allegations of misconduct. All of us are attempting to process these difficulties in our own unique way and are experiencing a broad range of emotions. We realize that these feelings have been compounded due to the limited amount of information you have received. I ask you to understand that it would be unfair to anyone involved in this process, accusers or accused, to reveal specific details about individuals. As a matter of justice and Christian charity, we owe it to all parties to respect this necessary confidentiality. At the same time, it would not be fair to paint all those priests currently on administrative leave with the same broad brush. We must remember that the allegations span a range from sexual abuse to boundary violations or inappropriate behavior with minors. All public information regarding the ongoing response to the Grand Jury report can be found on the Archdiocesan website, www.archphila.org. As Cardinal Rigali has stated, “I want to be clear: These administrative leaves are interim measures. They are not it any way final determinations or judgments. I know that for many people their trust in the Church has been shaken,” stated the Cardinal. Please join me in prayer for all those involved. In a special way, we pray for all victims of child sexual abuse. During this season of Lent, all Catholics in the Archdiocese are burdened with a heavy cross created by the sins and failings of others. As Catholics, however, we believe that Christ carries this cross with us. In sharing in His pain and suffering, we also share in His victory over evil and sin in the bright dawn of Easter.